The branches sagging to the ground. I’ve posted pictures before of the apple tree in back, weighted down with apple blossoms. We’ve picked apples from it once or twice, but we don’t usually get most of them — we have all kinds of wildlife, from blue jays and robins to deer. 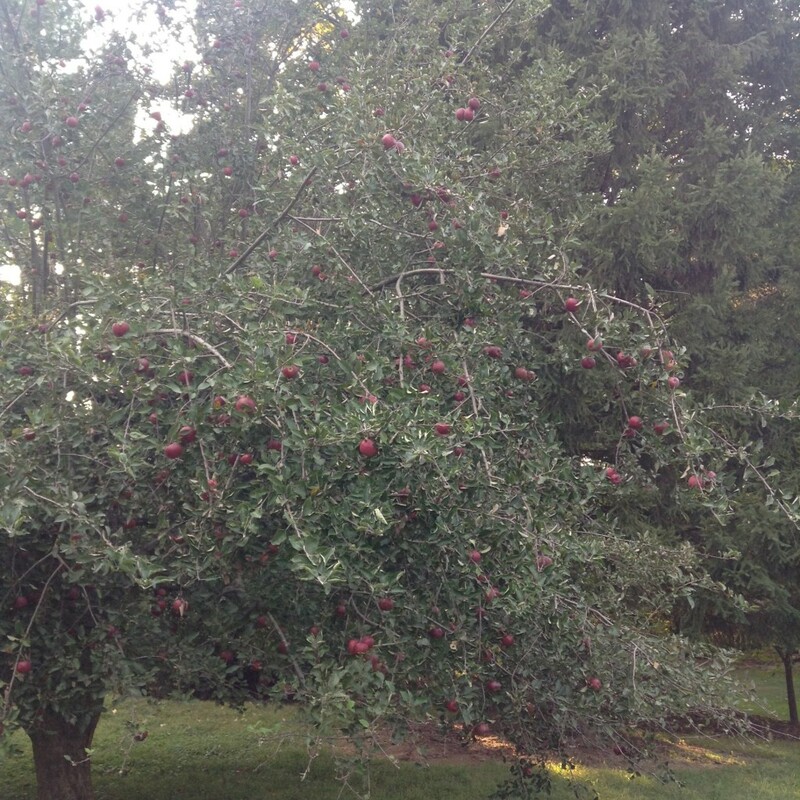 So when I really looked at the tree last week and saw how weighed down it was by apples, I was quite surprised. 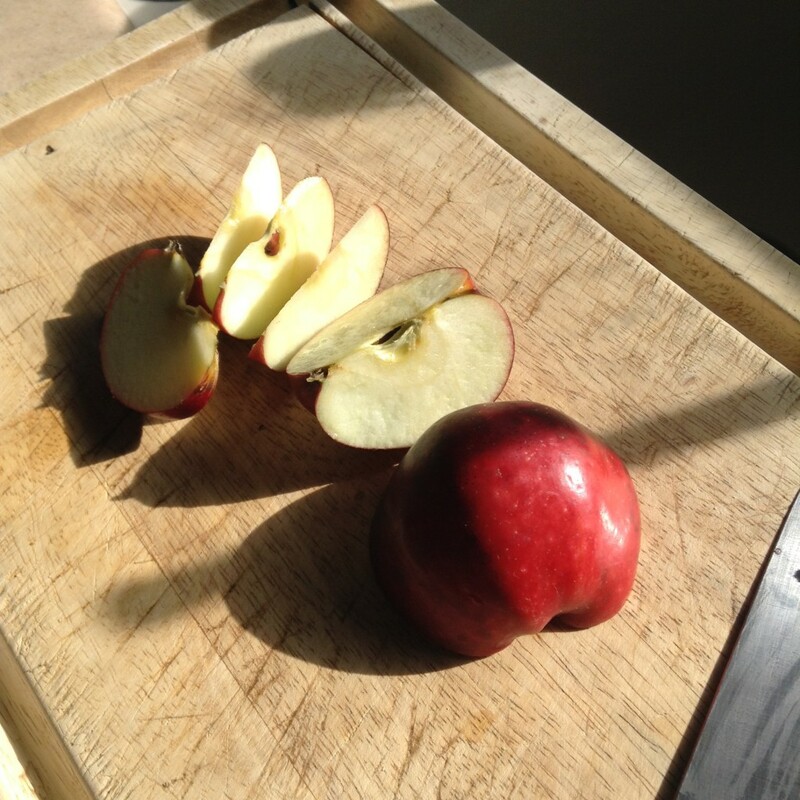 However, never one to look a gift horse in the mouth, I took the kids out to pick apples this weekend. 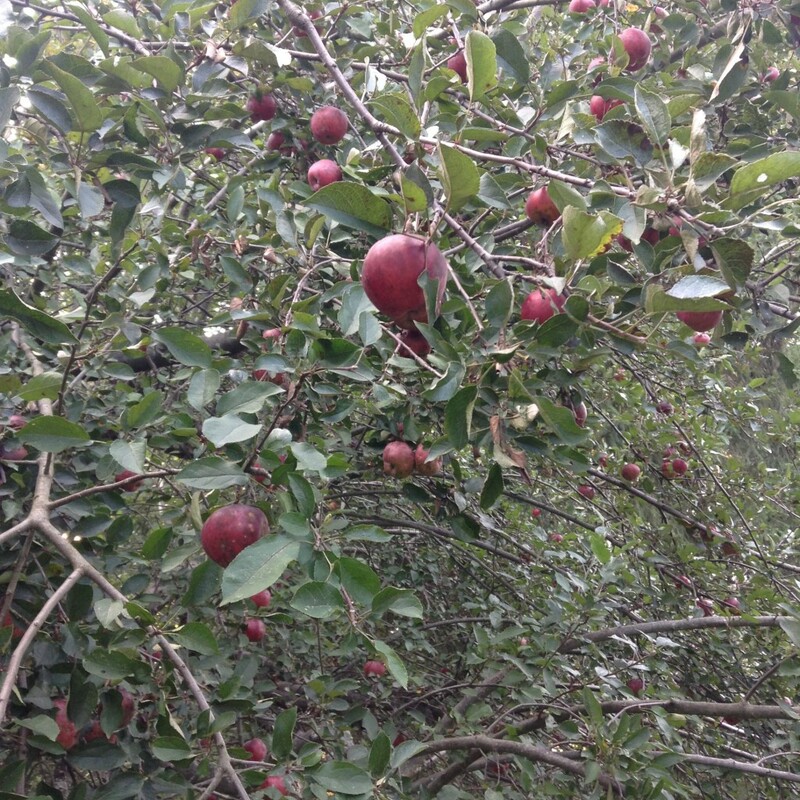 We got several quarts of apples, and the tree still looks untouched. Look at how many there are! I started off with applesauce. I’ll do apple butter as well, maybe a couple of apple pies (although the girl doesn’t like them), and some apple compost jelly (made with the peels and cores)… the possibilities are almost endless. But I do wonder why I haven’t seen the deer around at all, much less why they haven’t lightened the tree as they usually do. Hope your deer are okay, but love what you’re doing with the bounty :). What a fabulous harvest! 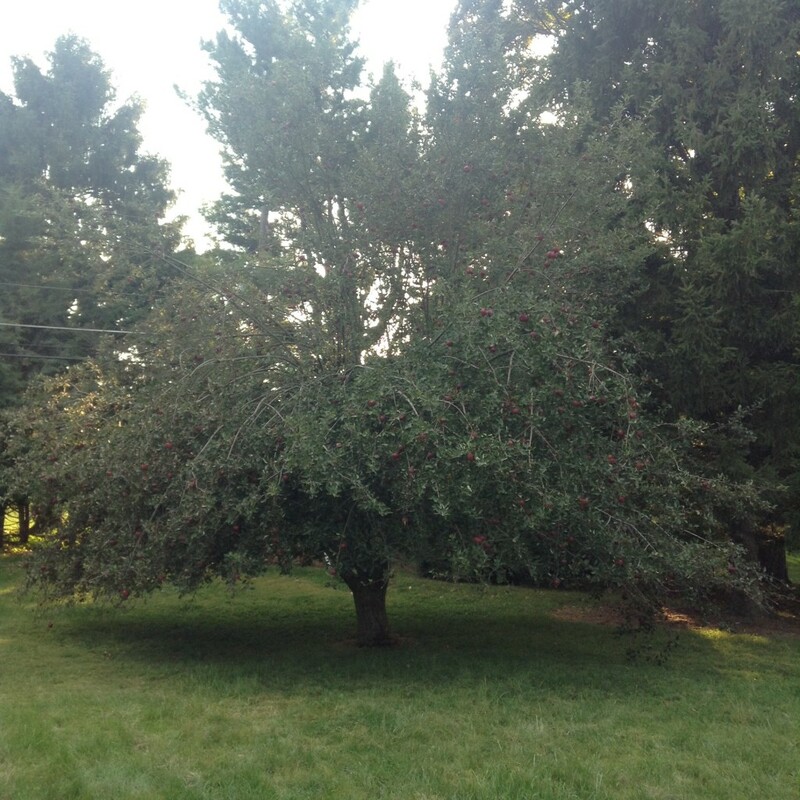 How old is your apple tree? I hope the deer are okay. Yummy. 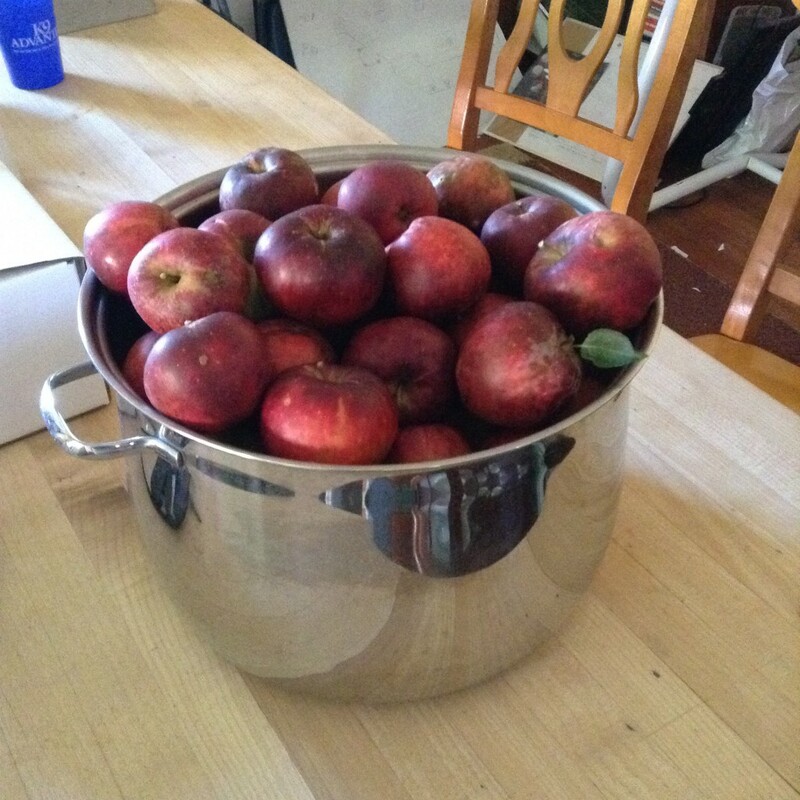 My apple trees are just 4 years old but I did get enough this year to make one pie and one batch of applesauce. Enjoy the fruit. Yay for apple trees, pie, and applesauce! What kind of apple? Lovely! Everything you mentioned making sounds delicious! And I hope the deer are okay. I’ll be keeping an eye out for the deer and posting updates as I can.